So... did you spot it? Well one of those pies is apparently "deep filled"... the other... well, it doesn't say either way. But there is very little different in the box, the depth of the filling on the box or the actual pie itself! 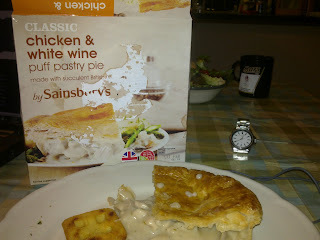 I certainly couldn't describe this as deeper filled than the pie was 18 months ago! 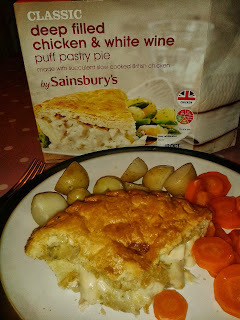 What made it worse was that my good friends the Senei had especially checked the Pierate Pie Rankings to pick a pie I hadn't tried - not realising that this was essentially the same pie I had already reviewed in March 2012! Very disappointed to find out I've basically fallen foul of the marketing gimmicks of Sainsbury's but hopefully next time I'll find a genuinely new pie! See where the actual original pie ended up in the Pierate Pie Rankings or find other pies of a similar flavour.